Endangered shark species are being used in Chinese restaurants across the United States, according to a one-of-a-kind DNA-based study. 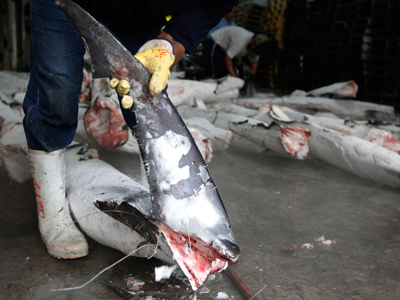 Concerns are also high that the prohibited practice of “finning” is rife. The Pew Environment Group, working with the Discovery Channel, has made a stunning discovery coming from 14 cities. Overall 33 different species of sharks were discovered through the investigation, including scalloped hammerhead sharks, classified as endangered by the International Union for Conservation of Nature. The $100-150 per bowl meals also included school sharks, smooth hammerheads and spiny dogfish, all listed as vulnerable to extinction. To unravel the content of the soup, shark-attack survivors have volunteered to visit Asian restaurants throughout the US and order a fin soup that was not always on the menu. "Even if it's on an online menu, sometimes when you go, they will not serve it. And even when it's not on a menu, if you asked, they might serve it anyway. It's tricky to know how many restaurants really are serving it," Debbie Salamone, a Pew spokeswoman, told the Orlando Sentinel. 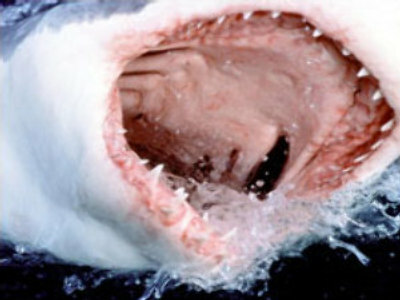 Sharks detected in samples are in trouble in the wild, with some being unable to recover their numbers for years. The DNA analysis by Stony Brook and the Pritzker Laboratory at Chicago's Field Museum had to extract the DNA samples from the fins, which at first were frozen for shipment, dried and bleached at the restaurant, before being boiled into a meal. Yet the team’s DNA data from samples and were successful in identifying a specific species in almost all cases. “This is further proof that shark fin soup here in the United States, not just in Asia, is contributing to the global decline in sharks,” Liz Karan from the Pew Environment Group told the AFP. About one-third of the 450 species of sharks are on a brink of extinction. Up to 73 million sharks are killed around the world every year to end up catering to the delicate palates of shark soup lovers according to Ecology Letter Magazine. "Sharks aren't like other fish," said Jill Hepp, director of Pew's Global Shark Conservation campaign. "They can go years between reproducing. When they do reproduce, they have just two or three pups." Meanwhile, wildlife conservationists have heavily criticized the practice of finning, which threatens their population in open waters. "The sharks are usually still alive when they are thrown back into the water. It's often a very slow and painful death. No animal should suffer that way," Iris Ho, wildlife campaigns manager for the International Humane Society, told the Orlando Sentinel. Finning means the removal of shark fins, while the rest of the body is generally thrown back into the water. Most of the fish are still alive once dumped back into the ocean die of suffocation because they are unable to move freely. The practice has increased over the past decade, driven by the demand for shark fin soup and traditional remedies in Asia. The global fin trade is estimated to be between US$540 million to $1.2 billion, according to Marine Resource Economics magazine. Hong Kong handles up to 80 per cent of the world trade in shark fins, according to IUCN Shark Specialist Group estimates. Finning and dumping shark bodies into the water is prohibited in US waters and a number of other countries. In practice, however, fishermen take the sharks back to port before cutting off their fins, which are sold for more than $600 a kilo. In an effort to curb poaching, a number of states, including California, have banned shark fin sales.